There is something that I think every family needs, a Mission Statement. There's just something very cool about it. We don't have one yet, so I'm planning to do this for one of our upcoming Date Nights. 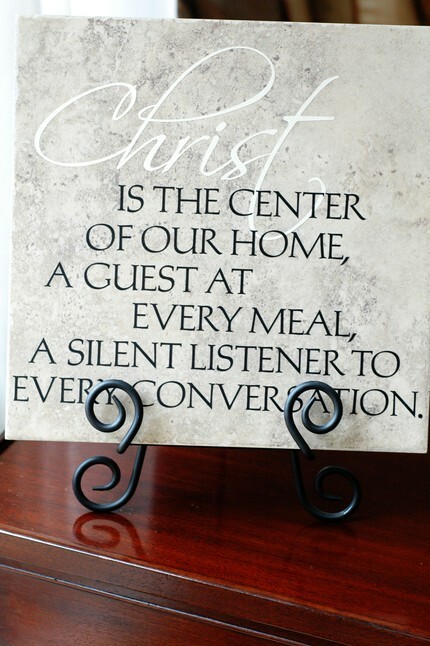 "family mission statement" ever created. Your own mission statement would be cute framed by couple and family photos like this. 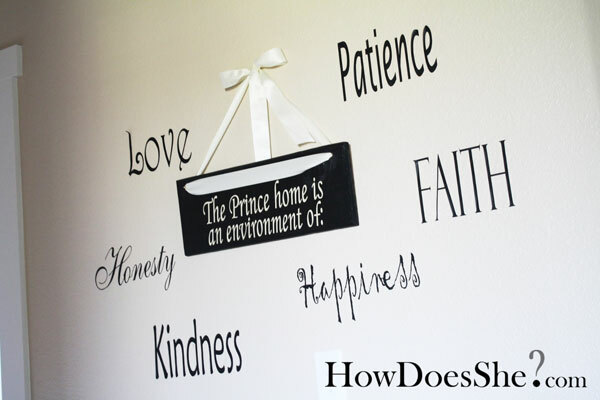 Even a tile with your family mission statement or a motto like the quote above is a great thing to have in your home! Hope that inspired you to get creating your own....It sure inspired me! HOW did you get the rolling picture archives sphere?! It's awesome!!! I LOVE this idea! I'm definitely going to sit down with my husband soon and make ours! My husband is a marriage counselor and we are currently writing our first book together. 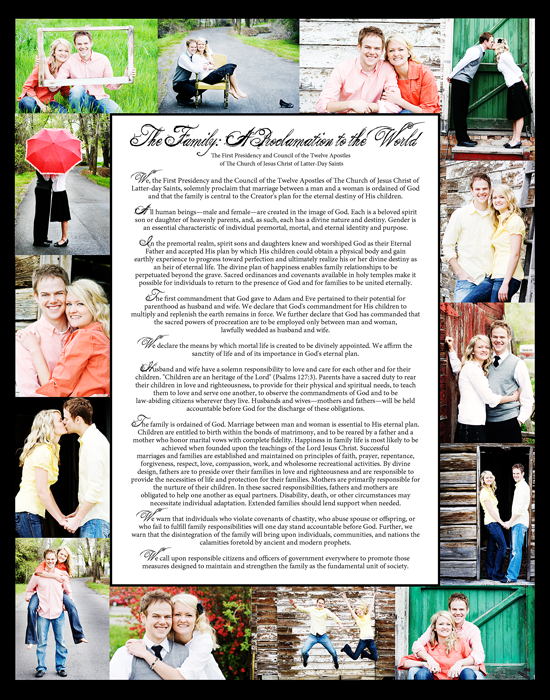 Love your ideas and your celebration of marriage and family! So funny you posted this today because I've been thinking about this for like a week now. Definitely something I've been wanting to do together! Now I'm even more motivated. Thanks for the ideas and links. ok I love that one with the sentences for each letter of the last name, from your friend Meagan!! Did she make those up herself or is there a way for me to cheat, since I am not very creative!! What a great idea! This has got my creative juices flowing! Thank You! 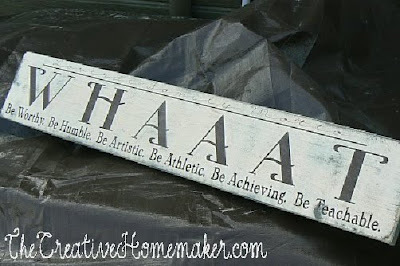 This is a great idea, i offer this on canvas too! I came over from Someday Crafts. This is such an inspirational idea!! I have never heard of a family mission statement before, but I will definitely be creating one! Thank you!! I talk about the importance of a family plan or core values being known for the family but never thought to frame it. I like this. I think I will mull this over and possibly do. Thanks for the suggestion! Very nice Gifts for valentines day but i like the flower bouquet gift. Now i have to bought it for my beloved. Thanks for sharing. I love this idea! My husband and I have discussed this several times but we haven't sat down and written it. Need to do that ASAP! 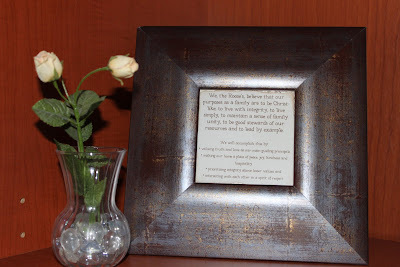 I made a Family Proclamation with our wedding pictures. It hangs next to our Living Christ (using pictures of Jesus). Although we don't have a lot of "things," we love looking at the two of them together to remind us of our eternal goals. Another idea with the Proclamation (my husband came up with this!) is to make a picture mat frame of your family and children actually doing the themes it talks about. There are so many comments here that are really interesting and conducive to me thanks. for sharing a link especially for sharing this blog. Thats splendid creativity, and this is why i am going for online degree in design and prints so that i can unleash my creative and make wonders happen.